Until about a year ago, I found little reason to watch modern Egyptian cinema. 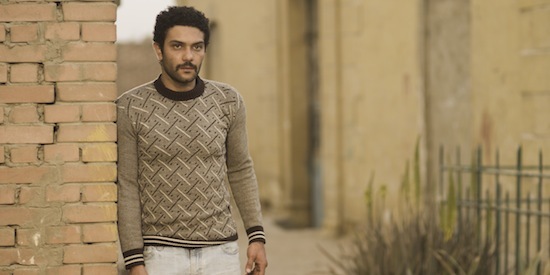 Besides a film like The Yacoubian Building, which offered glimpses into some well-drawn human characters, cinema from Egypt seemed like an inside joke I was forever destined to miss the meaning of. 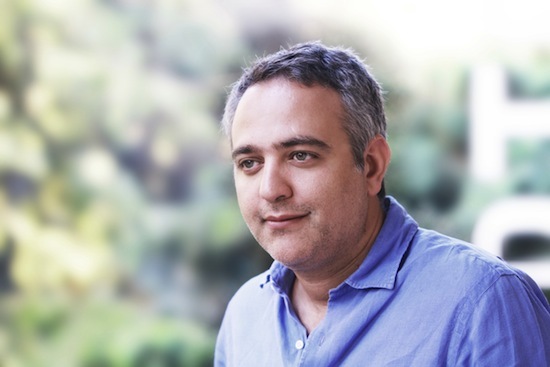 Then I met filmmaker Mohamed Hefzy and began watching his Egyptian cinema. To Egyptian audiences he offers a new type of movie, modern and urban, while to the rest of the world a blend of wonderfully written characters and slice-of-life poetic interpretations of today's land of chaos and humanity, so often watched on the news and yet so seldom understood. Hefzy and his company Film Clinic, along with the wonderful team at MAD Solutions who first brought him and his work to my attention, have shown me a new Egyptian cinema, one I not only understand and like but can relate to as a human being. This week, Hefzy dons another one of the various hats he so comfortably, and humbly, wears -- the one of director of the Ismailia International Film Festival for Documentaries and Shorts. Through Sunday June 8th, under his watchful eye personal favorites like My Love Awaits Me by the Sea, Cairo Drive and The Square will be playing, along with a new documentary by Swedish documentary filmmaker Goran Olsson, the sequel to Jews of Egypt titled End of a Journey, and a series of soccer documentaries including Maradona by Serbian master filmmaker Emir Kusturica. In the case of the Oscar-nominated The Square, yet another example of Hefzy's gutsy choices, since the film was originally banned from releasing theatrically in Egypt, and Ismailia will mark its first public screening there. During the 10th Dubai International Film Festival back in December, I caught up with Hefzy, who is at once insightful, charismatically soft-spoken and incredibly direct. You've been in films, either as a screenwriter or producer, for around eleven years, yet you've already become the go-to filmmaker for Egyptian cinema. How did you manage that in such a short while? Mohamed Hefzy: To be honest, time management is one thing and just being really lucky with good people around me. Having a good team around me is always helpful. In Film Clinic, I have a good team, at Ismailia Film Festival I've managed to put together a nice group of people and as a script writer, well you know, it comes at a cost. Because as a script writer I don't have a lot of time for writing scripts anymore. So I rarely exist as a script writer anymore and that's something I obviously would have loved to do something about but I don't have the time to do everything, so I'm not 100 percent successful in all those areas. I'm trying to juggle probably a bit too much. Hefzy: I've been lucky, I get people just knocking on my door that I think are really talented and really good, and they're smart and they know what they want so I've been able to use them. And I think there are a lot more. It's just a question of how do you put together a system that brings the best out of everybody for the benefit of different projects. Films like Rags and Tatters, which dealt with the revolution, in a very hands-on kind of way, but told a completely different story that we may have never know about in the West. Hefzy: Yeah, that's what I mean, exactly. But I'm making conscious decisions to try and stay away from the revolution, in my future films because I think we've said just about everything there is to say at this moment, knowing what we know and not knowing what we don't. A film like Villa 69 was really fresh for me, to make a film and to release a film that has nothing to do with it. You don't even know if it happened before or after and how many films do you watch nowadays in Egypt or Tunisia or in countries where revolutions have happened, or are happening, where you don't know if this took place before or after? Because it's irrelevant and it could take place anytime or anyplace. Hefzy: There is an industry, it's not very strong, there are two or three companies producing a lot of films, there's three companies producing I think 70 percent of everything, and I'm not talking about Film Clinic. I'm talking about companies that make films for local demand, like the summer movies, which I don't do as much of. I would like to make more of them, but not in the same way that you see them, yet I'd like to make more commercial films. But now that TV has come into the market I think you'll see a boom in production in Egypt. Over the next year. Also, you can tell by the revenues that some of the films make that if you try to show them outside of Egypt, people will just laugh at you. And it's not just because they're only relevant to our local urban culture but also because the quality has become so bad that I think it's going to take a long time to educate people cinematically and culturally. Because it's a cultural movement, you have to associate it with literature, theater, arts, general cultural awareness that has to grow, and return to what it was in the 60s and 70s when more people were cultured. What I'm happy about is that we now have a chance to show more independent films where you get more really brilliant, talented ideas and new directors who just don't have a place to show their films or don't have access to TV broadcasters and theaters. And now I see all these initiatives that are being spoken about where independent films can get more financing, can get more exhibition space... Rags and Tatters was an example of an independent release that I think went well, because we released it in seven screens, for a limited amount of time but it managed to get somehow into the mainstream media, the mainstream talk, it was being written about in all the papers and it was very heavily present in social media. Now there is a demand, a small niche market that wants to see serious films, different films, there is a demand... It's a small market but I think, at least we've proven that they exist. If you can make ten thousand admissions maybe the next one will be twenty thousand, or if you manage to get more screens and more time maybe you can do even better. And you get more films like that made, because people look at those figures and aren't afraid anymore. Hefzy: It also gives the TV broadcasters the courage to buy them and show them. We're trying to change that perception that independent cinema is anti-public, it's so unpopular that the public just doesn't want to see it. Hefzy: That's right, so if we can change that perception then I think we will have more space to show our films. Speaking of perception... As a filmmaker, do you feel a responsibility to help bridge cultures? A film like Rags and Tatters went to Toronto, and it undeniably helped to bridge cultures there. Hefzy: A festival is a good start, but I think it needs a bigger platform to really have an effect. And I think without distributors and exhibitors looking to give more space and more chances, and taking more chances on riskier films like that, I think that it's going to be limited to festival audiences... We need a wider audience. It also depends on the stories you tell, how you're telling them, and how distributors take risks for these films. A lot of distributors will only do that if they have subsidies from governments, to mitigate the risk. So there's a political responsibility, especially in the West for governments, that, like in France, can give money to screen towards foreign films. That's why there are so many foreign films being released in France, so if other countries were to do the same, I think it would help. Because it is in the best interest of governments to bridge cultures! Do you think that a film like Villa 69 can help people understand the other side, and basically explain, without preaching, that "the Other" is just like us? I find your films help to do that, deal with the other. Hefzy: It is something that I'm consciously aware of, and do try to go towards projects like that. In my plan for the future, and definitely a mission of mine is to try, like you said, to basically create films that help explain our differences and similarities.